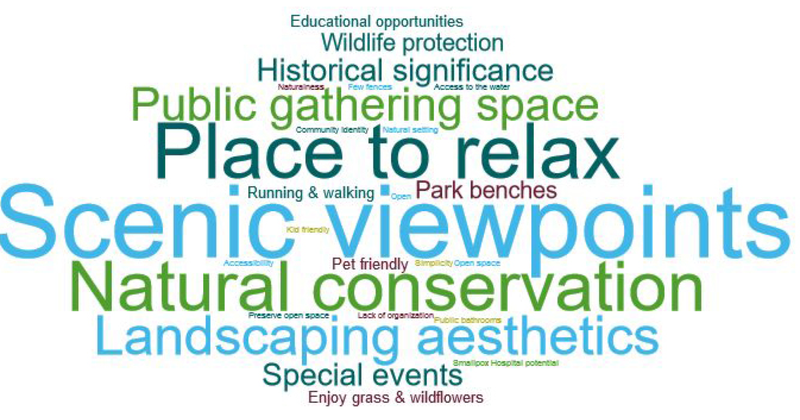 RIOC hired the Fitzgerald & Halliday (F&H) consulting firm to help develop the Southpoint Park Open Space Plan. 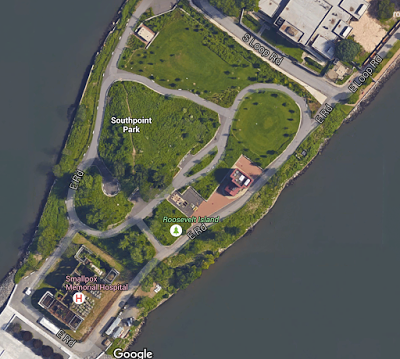 Representatives of F&H will be at the Roosevelt Island Farmers Market tomorrow to gather information on what residents would like to see happen at Southpoint Park. 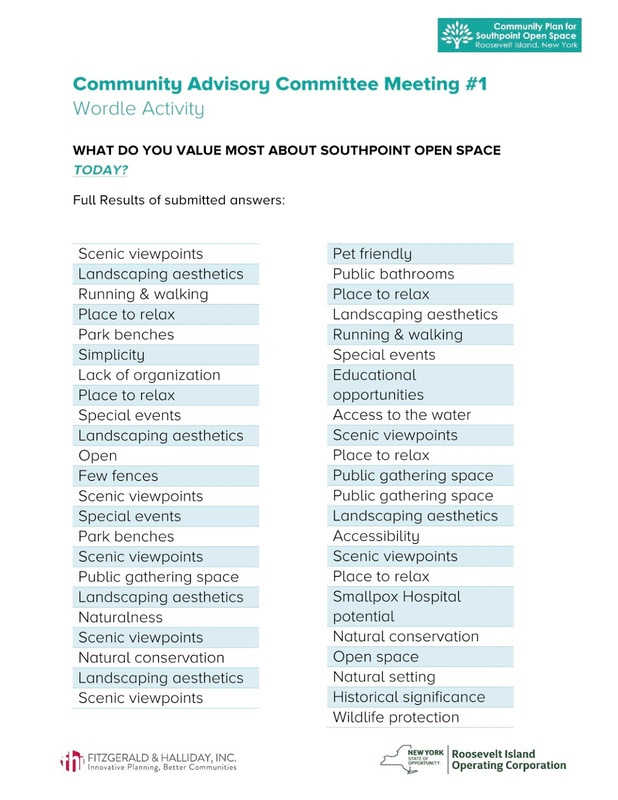 What do you think of Southpoint Open Space? Would you like to see it enhanced for the community? 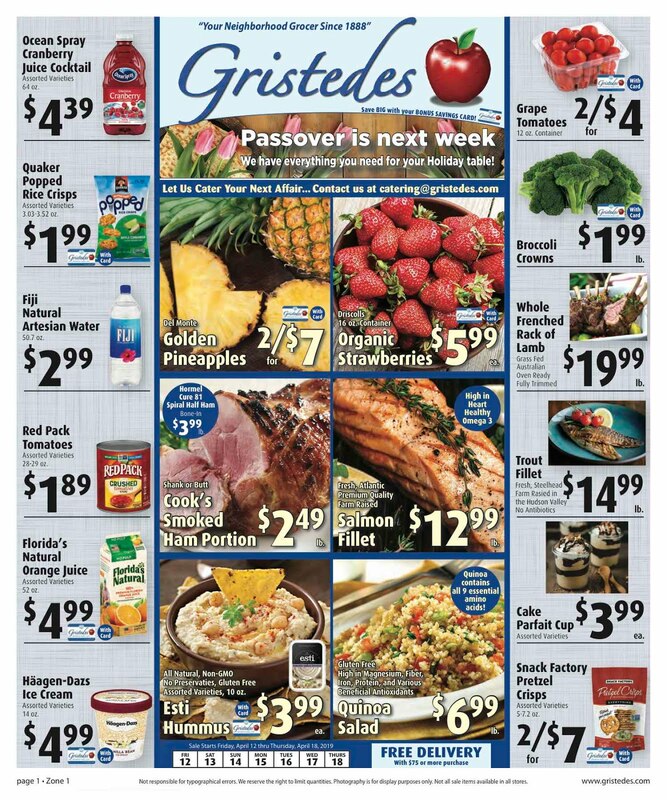 Come to the Roosevelt Island Farmer's Market this Saturday May 14th from 11 AM to 3 PM, located next to the base of the Roosevelt Island 36th Avenue Helix ramp. 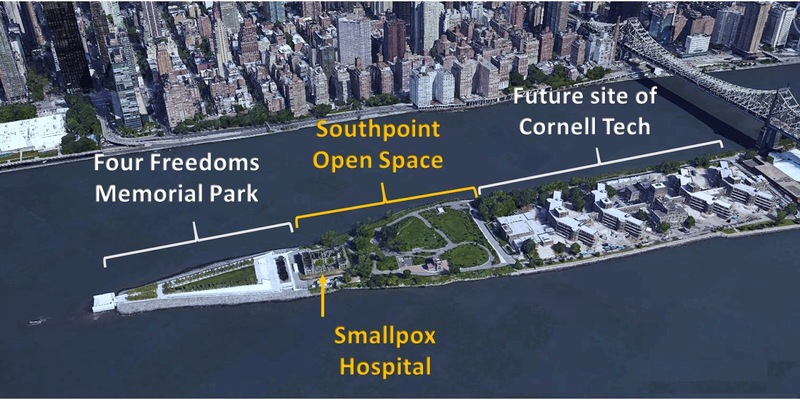 There will be a booth where you can tell us what you think about the Southpoint Open Space and the Smallpox Hospital, a New York City Landmark. The April 28 Roosevelt Island Southpoint Park Community Advisory Committee meeting was hosted by F&H representatives Arnold Bloch and Mary Miltimore,. 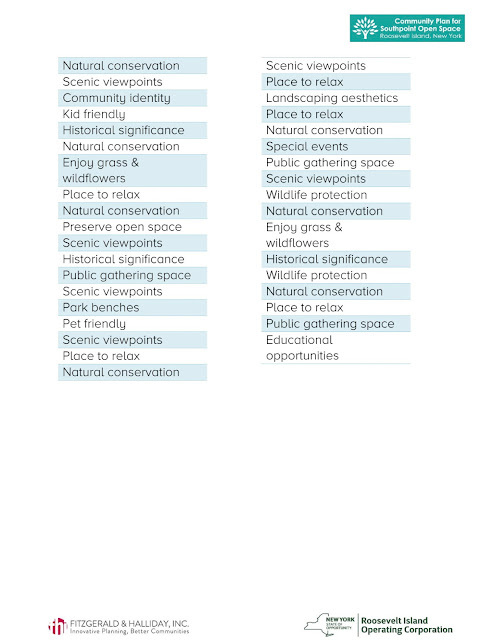 During the meeting, Roosevelt Island Parents' Network Coordinator Eva Bosbach asked for the reason why the Southpoint Park survey is happening now. 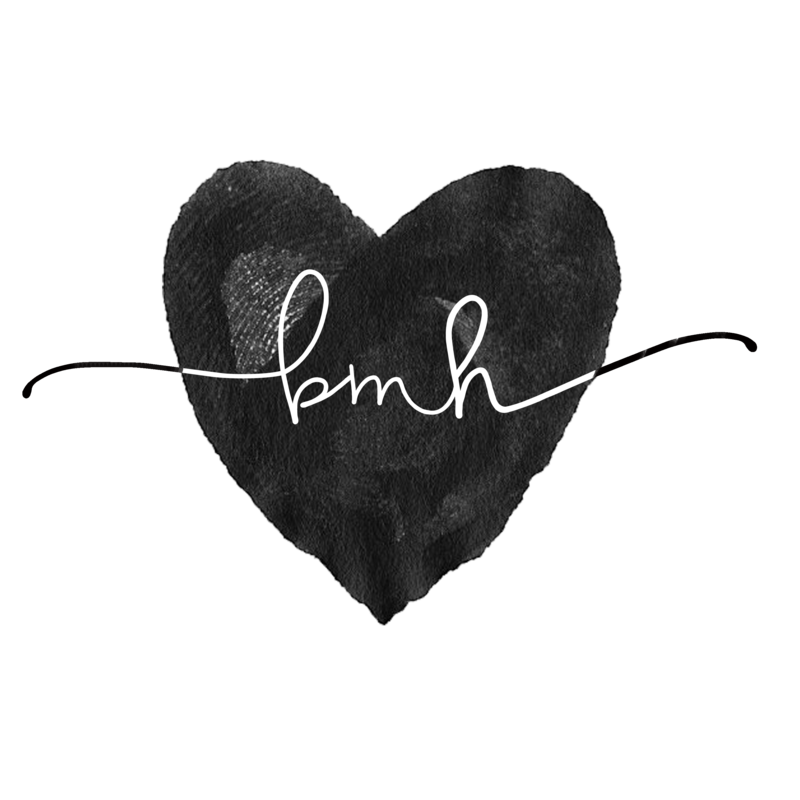 F&H's Mary Miltimore replied that the reason is for RIOC to be ready with a community plan in the event future projects and funding become available. Possible future projects for Southpoint Park that have been discussed in the past include the donation of a Korean Pavilion and the renovation of the Smallpox Hospital by the FDR Four Freedoms Park. 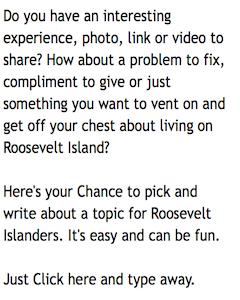 and encouraged more public brainstorming sessions. 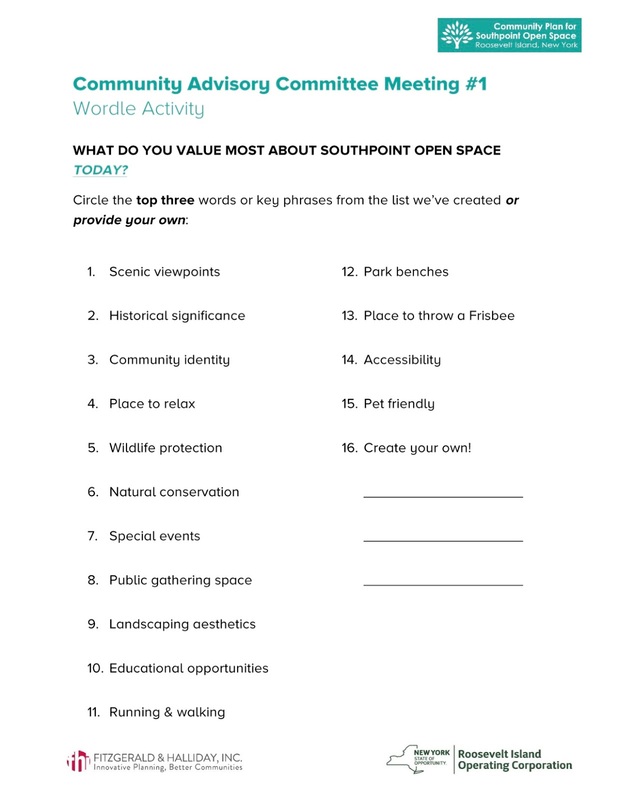 and a visioning word exercise about what the participants currently value most about the Southpoint Open space. Here's video portions of the April 28 Southpoint Open Space Community Advisory Committee meeting. and discussion by the committee. More information available at the Southpoint Community Plan web site.